Congratulations to Tara Cashen from Cobequid Educational Centre in Truro for becoming a 2018 Loran Scholar! Tara is student council co-president and a social justice committee member. She is captain of the school soccer and crosscountry teams and sings in the Nova Scotia Youth Choir. As a senior member of the environmental club, she organized a tree-planting event at a community centre. Tara volunteers at a care facility for seniors and works as a soccer referee. 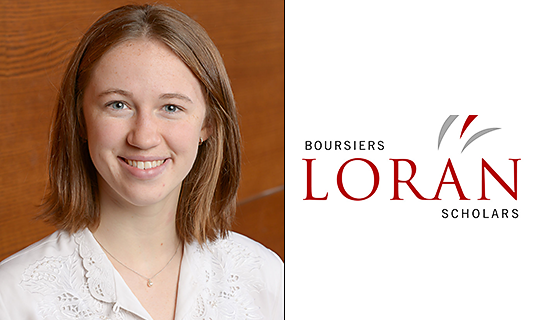 The Loran Scholars Foundation is pleased to announce the 29th class of Loran Scholars. These 34 young Canadians were selected from an initial pool of 5,023 applicants based on evidence of character, commitment to serving their communities and long-term leadership potential. The selection of a Loran Scholar is unique in its attention to a young person’s character. We believe that integrity, courage, grit and personal autonomy are better indicators of overall potential than standard academic measures. To discover these traits, we administer the most comprehensive scholarship selection process in Canada. Our 475 volunteers in 23 different regions interviewed 500 semi-finalists and then invited 88 finalists to our national selections on February 2nd and 3rd. Each of the 34 Loran Scholars was interviewed or assessed by up to 12 different people over the course of three months. Valued at $100,000 over four years, each Loran Award includes an annual stipend of $10,000 and matching tuition waiver, access to $10,000 in funding for summer internships, one-on-one mentorship and annual retreats and scholar gatherings. It is tenable at any of our partner universities.